Stylish and stunning at an affordable price. 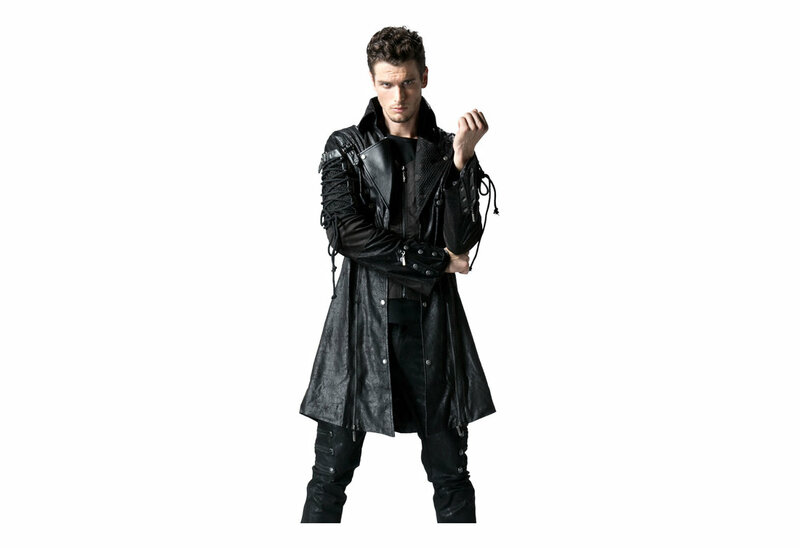 The front of this coat zips up and has one leather and one mesh lapel. The arms have rope lacing over mesh and straps with buckles. The sides have strap details. 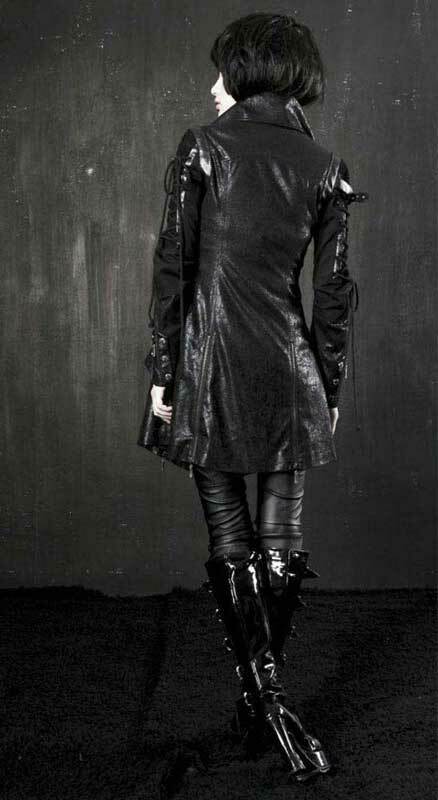 The bottom of the coat has zip open flaps. The cuffs also have zippers. 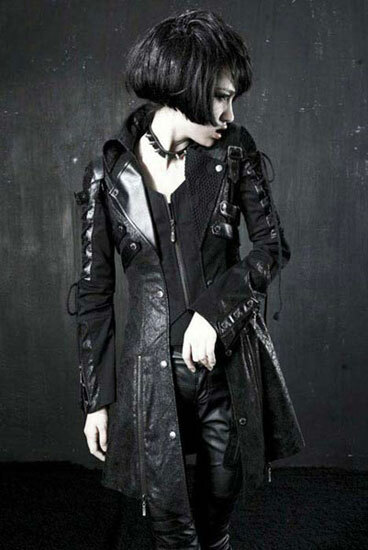 This Gothic Nightshade Jacket has a lot going on. This Gothic jacket is sure to be one of your favorites. 100% polyester. As cool as it looks. Much more comfortable than I thought it would be, too. If you order a size up, like other reviews say, it should fit you fine. If you never plan on zipping it up, you ~might~ consider your regular size just to avoid that bunched-up-fabric look, but it's hard to say. The sizes run small, so order one size larger than normal. 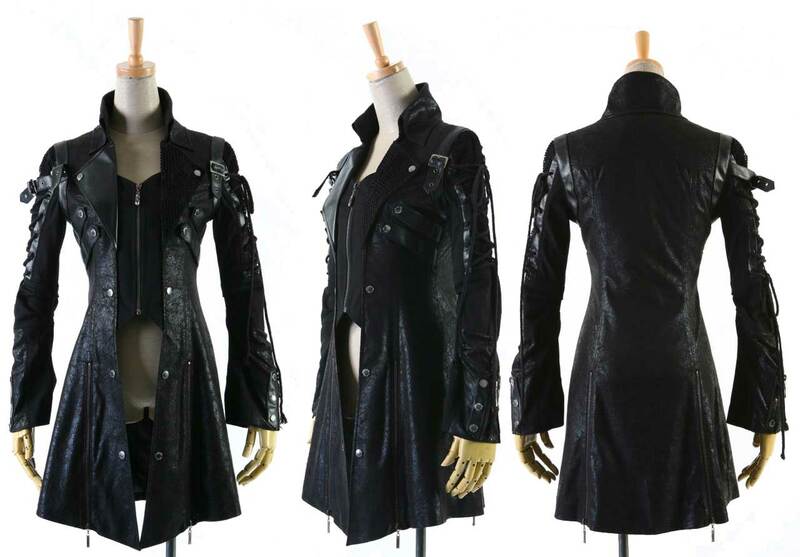 It is a great quality jacket though! Got it for my daughters birthday, she loves it! Bought this jacket for my daughter, she loves it. Havnt really had time to wear it to check durability, but it seems ok. I ordered her the womens small, because it was the smallest they had, even though she was 3 to 5 inches smaller in every measurement on the chart. I would have ordered smaller based on her measurements, but they had no smaller size. Glad they didnt because this jacket fits her perfectly. Beware the sizes. Order big. I love this jacket. The only down side is it runs small. I recommend ordering a size up. I love it, I have gotten so many compliments about my coat and I really recommend this. I will admit though, it is a little snug around the elbow and upper arms, but aside from that, this is PERFECT!